Rent Check: Meg Ryan's House in "City Of Angels"
Everyone looked so bummed out in "City Of Angels," that 1998 Nicolas Cage/Meg Ryan romantic drama, but here's a cheery thought: You can live in the house that belonged to Ryan's character. 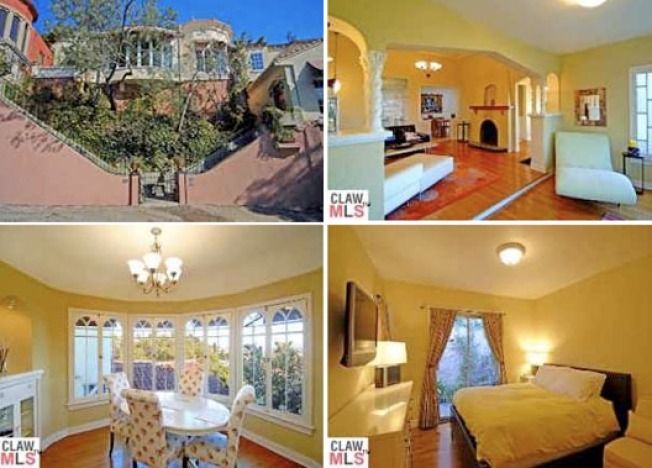 Located at Rockledge Road in the Hollywood Hills, the two-bedroom home is available for rent for $2,950 a month. It's a one-story, 1,200 square foot residence. Meanwhile, Ryan's actual home in Bel-Air was on the market last fall for $19.50 million, but it doesn't look like it's still on the MLS. And everyone knows Nicolas Cage is selling, selling, selling.